One outstanding feature of Dajuma is its proximity with the Pulukan State Plantation. Imagine a huge area of 1200 ha planted with all kinds of trees and flowers where kids and parents are happy to discover the wealth of Bali flora. Starting from Dajuma around 9:00 in an especially arranged 4 WD jeep you will see first how is made the rubber from rubber trees, from harvesting the sap and treating it. After a nice walk around the plantation where our guide will explain all the species met on the path, you will be invited to taste a coconut freshly harvested from the tree. 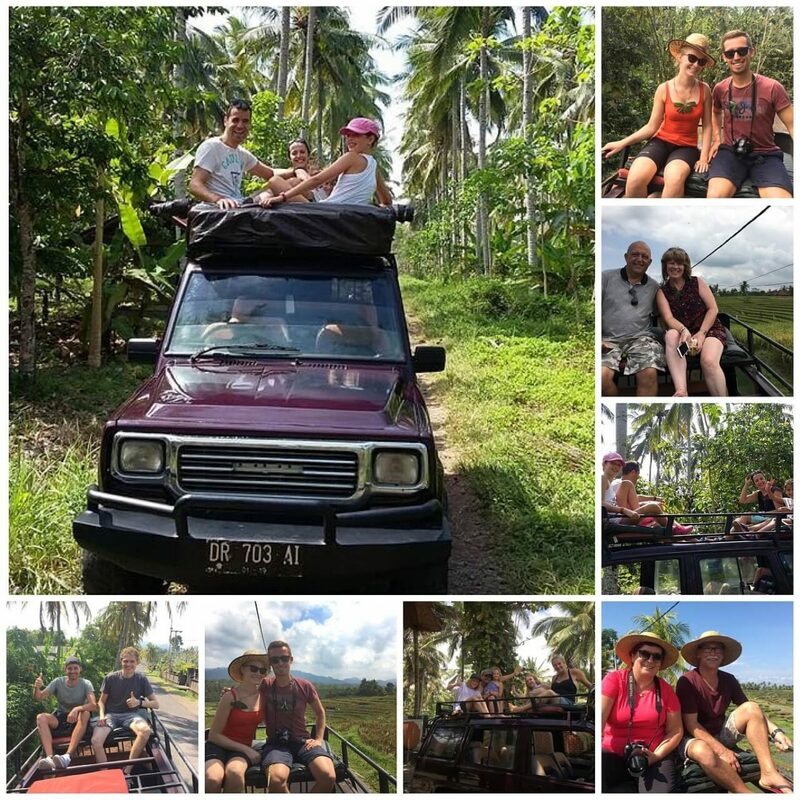 Comfortably installed on the roof of the jeep, you will then cross the plantation and rivers up to its culminant point which will be reached for the lunch, a pantagruelic meal prepared in the pure Balinese tradition by our staff. The return to Dajuma will be around 3 p.m. after a stop in the holy place of Bunut Bolong, a famous place in Bali where the road crosses a multi-centenary ficus tree. Enjoy!